From generation to generation, men have found shelter for their souls in the shadow of the Almighty - the one, true God, who in reigning over all provides comfort and confidence for His people (Ps. 91:1). Truly our lives are transformed and Scripture is made clearer to us when we understand the Lord’s sovereignty. In this collection from the 2007 fall conference series, R.C. Sproul, Richard Phillips and Steven Lawson unfold the riches of God’s rule over creation. 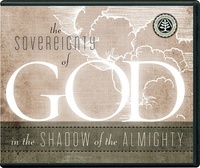 After defining the biblical view of divine sovereignty, they look at God’s sovereignty in salvation and answer common questions about its relation to prayer and evangelism.